MoWNet 2018 has registered to use the the IEEE tool: IEEE PDF eXpress. According to the new IEEE Xplore Requirements for PDF, all conference articles submitted for inclusion in IEEE Xplore must adhere to the IEEE Xplore PDF specification for compatibility. 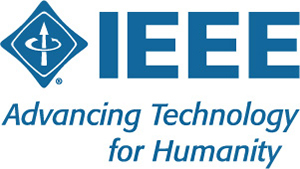 IEEE PDF eXpress is a free service to IEEE conferences, allowing their authors to make IEEE Xplore-compatible PDFs (Conversion function) or to check PDFs that authors have made themselves for IEEE Xplore compatibility (PDF Check function). It is important to note that submitting a file to IEEE PDF eXpress is only for creation of a compliant PDF file; you must still submit your final paper through the EDAS online system. You have also to submit the copyright. IMPORTANT: When uploading their final manuscript on EDAS, authors will need to enter their "Registration Code", which is actually sent in the confirmation email after registration. After finalizing your final manuscript via IEEE pdf express, you will proceed with the copyright process (via IEEE system) and fill the copyright form. Then, you will receive an "IEEE Electronic Publication Agreement Receipt". This document should be uploaded into EDAS. If necessary, contact Abderrahim Benslimane at benslimane@ieee.org for any information. 1. Select the New Users - Click Here link. If you do not find an answer in the Find Answers tab, go to the Ask A Question tab. Your question will be forwarded to IEEE PDF Support and answered within 3 business days.